wheres the cheese in that burg yo?! Maybe...the pigeon took it away. Little birdie wants a bite. They bite someone's lunch everywhere. Yes, They bite someone's lunch everywhere. 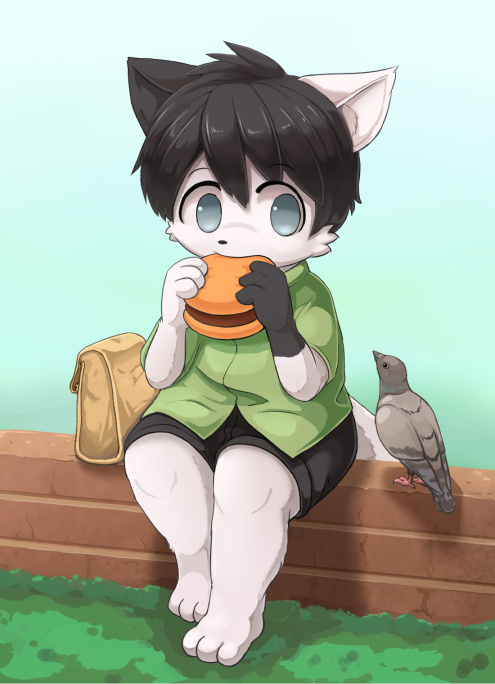 Yum Yum, I want eat burger. Give the bird the whole burger. Your icon is very cute. Thank you! Your icon is very cute.